I impulsively purchased the all black pair when I was in Dallas for the Christmas holiday. Afterwards, I looked them up online to check out the reviews because, seriously, why are these so cheap? 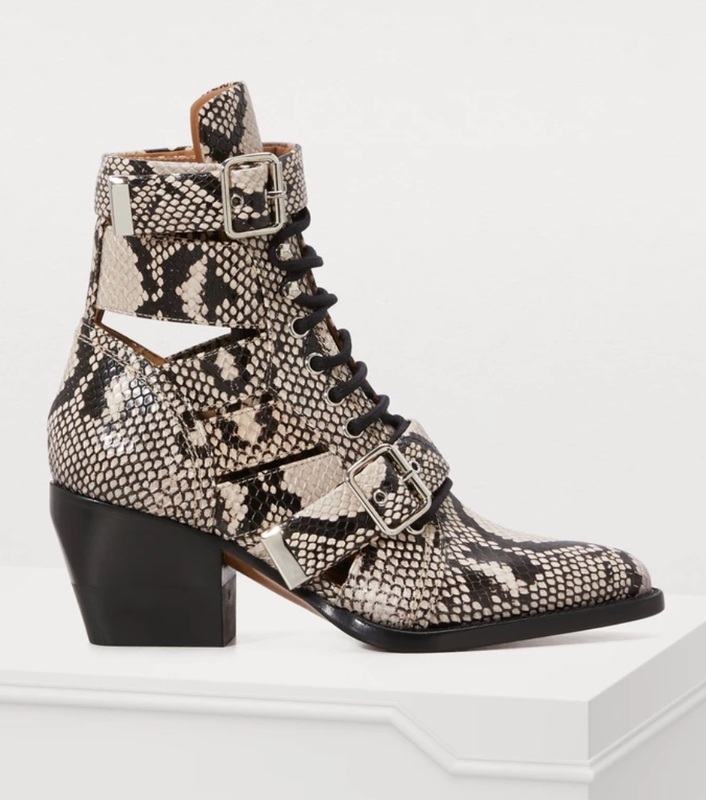 And they had a snakeskin print which looks so freakishly similar to the original Chloe pair that I bought those, too. 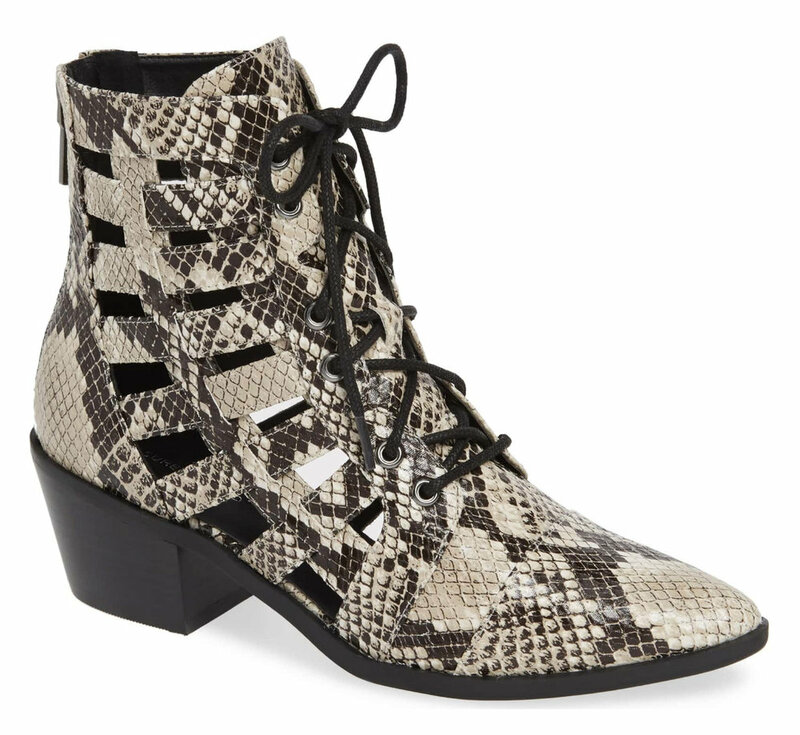 I was going to take back the all black boots, but at $70 a pair, that is something I’m no longer willing to do. And here they are side by side. Minus a few buckles they’re pretty dead on! I figured I’d be able to find a knockoff next fall. Certainly not this soon. AND they’re on sale! So if you like them, hop to it! They definitely won’t last long. Also, I purchased mine in an 8.5 vs my regular size 9. I don’t know that they run large as a whole - that size just fit me best.